I find it really good use of my spare time to get my arse up and go to the gym, do a quick 15 minute warm up session, then a 45 minute muscle building session after. If you do this 4 days a week let’s say Monday, Tuesday go GYM, Wednesday OFF, Thursday, Friday go GYM and then the weekend off. After the first three weeks of aches and pains, I’m not going to lie, everything starts getting a lot easier and it turns into a weekly routine that you want to do! which is also good to have in your life. I started off really lazy, fat and unhealthy back in the day and decided to change myself into a fit and healthy man. There are also other bonuses with training and keeping healthy even a daily 30 min walk, it increases your brain activity massively, metabolism and pushes out all the toxicities from your body through you sweat. 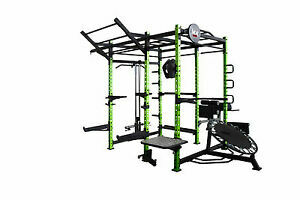 There is also the option for home multi-gyms now so even for the on the go person, who feels like they never stop or don’t have the time, these days you can make the time easy. Like when watching your favourite TV series at home get the multi-gym out and work them muscles while watching your TV series. It’s not all pain and no fun though, you always get off days where you do what you want when you want and eat what you want. Getting healthy is something everyone should be thinking about getting into considering these days with the population of obesity going through the roof like never before. Just get into your head “Relax when I’m in bed” and before you know it you will be a different person.